Paul Emery presents A Thousand Kisses Deep: The Songs of Leonard Cohen, a reprise of his triumphant tribute to one of the most fascinating and enigmatic singer/songwriters of the late 60s. Paul Emery, Anni McCann, Kimberly Bass, Eleanore MacDonald, Shay Dillon, Peter Wilson, Stephen Holland, Tom Schmidt, and Arthur Gould. A Thousand Kisses Deep: The Songs of Leonard Cohen is the creative production of KVMR News Director and foothills promoter/musician Paul Emery. In 2011, the group assembled for three sold-out evenings at the Center for the Arts in Grass Valley and went on to perform at the Nevada Theatre and 24th Street Theatre in Sacramento. They have since performed the show a total of 12 times, selling out nine of those shows. 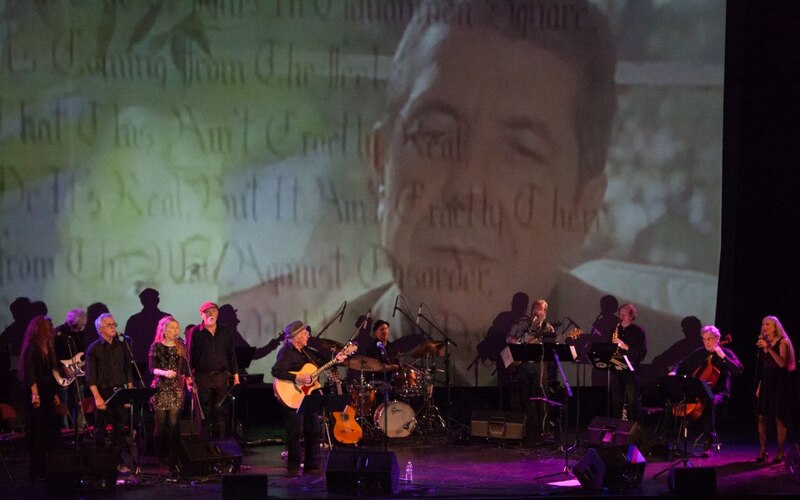 The eight-piece band and six singers bring the instrumentation of Cohen’s most recent touring band with woodwinds, strings, guitars and keyboards and back-up singers.